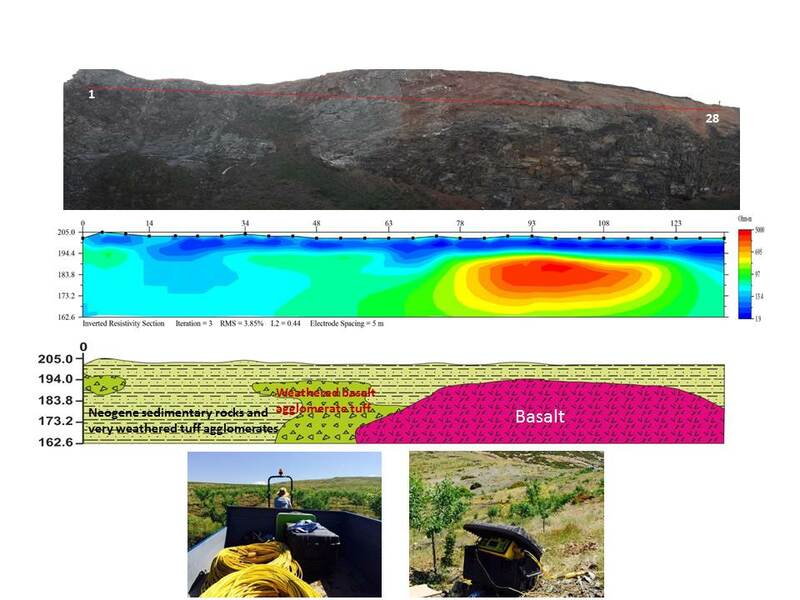 A mining company in Turkey hoped to determine existing and new alternative basalt zones at an existing basalt mining site by using Electrical Resistivity Imaging (ERI). Our client, Ali Karan, used 84 electrodes spaced at 10 meters and two lines 5 meters apart inside the study area. The Dipole-Gradient array was used to collect the 2D electrical resistivity imaging data set. 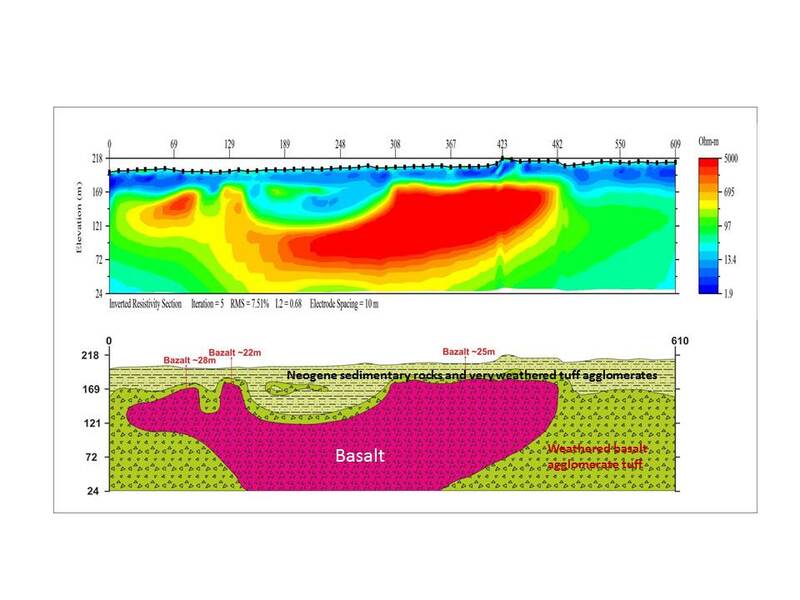 Resistivity imaging mapped the vertical and lateral limits of basalt zones successfully. The ground truth was shown with drilling confirmation down to 40 meters deep. The drilling results confirmed that the altered basalt zone was located between 28 and 32 meters underground; below 32 meters a non-altered basalt zone continued, which was the primary interest of a local mining company. Specially designed tools: These rugged instruments are useful for work in all kinds of terrain and topography. You can use this method to locate bulk aggregate material. You can also use this method to find water in any underground application. Additionally, the extreme terrain was no issue for our tools, which are built to be rugged.